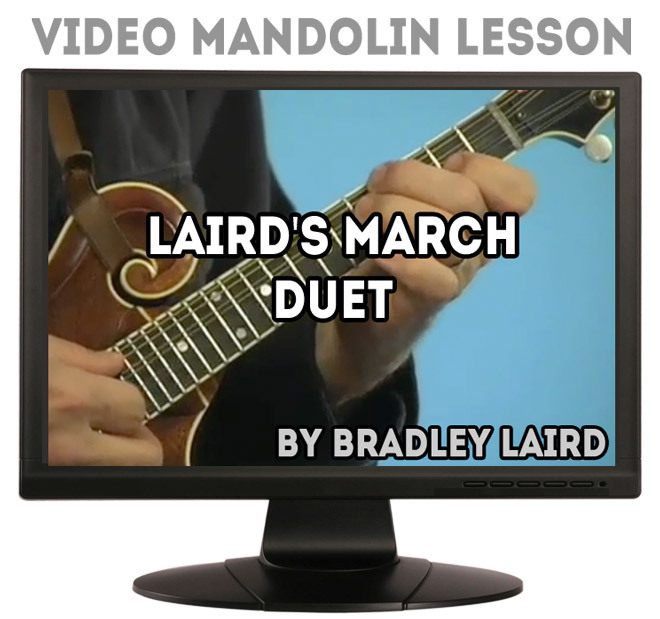 This video lesson teaches you both parts to this fun "turn of the century" style mandolin duet. The heyday of mandolins in the United States was from 1900 until radio came along in the 20's and 30's. This tune captures the style of music that our Gibson pattern mandolins were designed to play. The lesson includes the 22 minute video, a PDF with the tablature, standard music notation for both parts of the duet. It also includes two MP3 rhythm tracks to accompany you as you learn the piece. Chord charts are included too! You can learn either (or both) part and play the duet along with the video or the included tracks or, better yet, teach it to a friend and play it together! An additional bonus from studying this lesson is that you will learn your way around in the key of F which is a very mandolin friendly key and is very useful to know for bluegrass tunes too!